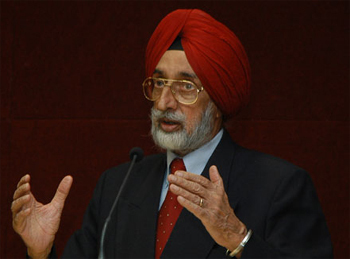 With the passing away of Jasjit Singh, the Indian strategic community has lost yet another of its strategic thinkers. Like his mentor K. Subrahmanyam, Jasjit Singh made a significant contribution to raising public awareness about national security and defence issues. His numerous writings also encouraged researchers to take on newer areas of research. National security was his passion. As one of the members of the K C Pant committee he had visualised a robust national security structure for India. At the first National Security Advisory Board (NSAB) under Subramanyam, Jasjit Singh made important contributions to the NSAB's first ever national defence and national security reviews as well as to the draft nuclear doctrine for India. In recent years he was also involved with the Ministry of Human Resource Development to strengthen teaching of national security in Indian universities. After an illustrious career as a decorated fighter pilot in the Indian Air Force, he took over the reins of the IDSA from K Subramanyam and steered the institution for 14 long years from 1987 to 2001. He gave the institution a strong international profile. He was highly regarded in international strategic circles. He also focused on mentoring and training young researchers. Many of them have gained national and international visibility. After leaving the IDSA he set up and directed the Centre for Air Power Studies for twelve years. In his new role not only did he continue with the national security studies but also brought a sharp focus on the changing role of the Indian Air Force, India as a space power and the growing importance of space security in India's national security. Higher defence organisation remained a passion for him. He had the ability to identify crucial areas for research. He had himself demystified the intricacies of India defence budget. After the 1998 nuclear tests, he along with many others began to focus on nuclear doctrine, nuclear diplomacy, the role of India in a newly emerging world order and national security management. He also worked on energy security issues when few people knew about them. Of late he had begun taking interest in cyber security. A towering personality with strong likes and dislikes, Jasjit Singh was not always a popular person. Yet he was at heart a soft and gentle person. Undeterred by advancing years and despite several surgeries in recent years, Jasjit Singh was forever thinking out-of-the-box, reflecting on India's place in the world. His contribution was recognised when he was awarded Padma Bhushan by the government. He will be missed by the strategic community but the large volume of his writings that he has left behind will continue to inspire. Brig Rumel Dahiya (Retd): Late Air Cmde Jasjit Singh led IDSA with distinction for full 14 years and his involvement with the Institute continued till the very end. He inspired and mentored a very large number of scholars who are presently writing on matters of national security and defence. He was always sharp in his observations and analytical in his numerous writings. He was also respected for his clarity of thought and forceful articulation of his views. In his passing away the country has lost a leading solder-scholar and IDSA has lost a worthy patron. We pray God to grant peace to the departed soul. Naresh Chandra: Deeply grieved by Jasjit's sudden demise. He was one of the best we had on national security issues. His work and contribution has been of great value to all serious analysts. He will be sorely missed. N. N. Vohra: My association with Jasjit goes back to the past over three decades, virtually from the day I joined the MoD and the Air Hqrs decided to release him formally to join IDSA. We worked together for many years till I superannuated. After I had retired the then Prime Minister had desired me to undertake an extensive review of IDSA’s functioning. In this exercise, Jasjit was of enormous help; his views were always productive. Later, he became the founder Director of CAPS and our association continues, within the constraints of my other obligations at that time. Even after my shifting to J&K we maintained contact; he visited me both at Srinagar and Jammu and delivered very impressive lectures, marked by straightforwardness and serious concern. As many would know, Jasjit was extremely hardworking and, if I am not mistaken, he edited over 100 books and authored over a score! It was not for nothing that Rashtrapatiji honoured him with PADMA BHUSHAN. Jasjit and I used to play at the IAF Golf Course in Gurgaon, on occasion joined by his younger son Sanjay, who is in the Navy. I shall deeply miss Jasjit. I pray to the Almighty to rest his soul in eternal peace and give his family the strength to bear this irreparable loss. Lt. Gen.(Retd.) Y M Bammi : It is indeed sad that Jasjit is no more. I met him often in IDSA and admired his depth of knowledge on international relations. His contribution to India's nuclear policy will always be remembered. Brig (Retd) Rahul Bhonsle: A doyen of the Indian strategic community, his departure for the heavenly abode is a great loss to national security policy making with his wealth of experience and clarity of vision. We will have to make do with the large repertoire of his writings on military and strategic issues which will continue to guide us in the years ahead. May his soul rest in peace. Gulshan Luthra: We all share the loss. He was a guru to many of us. I often exchanged notes with him, and learnt from him. He had a good rapport with many think tanks, particularly UAE's ECSSR which hosted him a couple of times. Satish Nambiar: I came in contact with Air Commodore Jasjit Singh only towards the end of my Service career when he was heading the Institute for Defence Studies and Analyses. He was the epitome of dedication, commitment and boundless energy. His professional experience, depth of knowledge, vision and range of interests was truly unique. With his demise, the strategic community in India and, I dare say abroad, has suffered a tremendous loss. At the personal level, I have lost a dear friend, mentor and guide. It is another matter altogether that I missed a glorious opportunity of working with him by not responding to his request to join him at the IDSA on my retirement in August 1994. Even so, I was privileged to receive his encouragement, support and advice during my years as the Director of the United Service Institution of India. He will no doubt continue to be a source of inspiration to all of us from the soldier-scholar’s Valhalla. S D Muni: Jasjit's unexpected demise has sadened and shocked many of us. I have lost a friend of long standing, since the IDSA days in early 1980s. He made an immense contribution to strategic thnking in India. Proved himself to be a truely dedicated, well organised and efficient institution builder who valued personal sincereity and professional commitment. Maj Gen (Dr )G D Bakshi (Retd. ): Air Cmde Jasjit singh was the doyen of our military thinkers in uniform. He was the quintessential scholar warrior who has rendered yeoman service to his country and the Armed Forces. He was a great thought leader and institution builder. despite the shabby treatment he got inbetween he continued to serve the country with a will. He was to me personally a mentor and a guide who encouraged me greatlyin my writings.May his noble soul ever rest in peace.He merits our deep and heartfelt gratitude for the services rendered to our dear country.I salute this noble Air Warrior. Maj Gen B K Sharma(Retd. ): Our heartfelt condolences to the bereaved family. His invaluable contribution in generating awareness about national security and India's strategic culture well always be remembered. We pray that his soul rests in heaven. Amit Cowshish: Air Commodore Jasjit Singh was a tall personality, both literally and figuratively. His contribution to the strategic thinking in India is beyond measure. He felt strongly about issues related to defence and security, particularly aerospace, and spoke with unassuming candour about those issues. He encouraged the young scholars with patience and humility. He nurtured CAPS with great passion and dedication. Meeting him was always a pleasure. Some losses are irreparable. May his soul rest in peace. Prof. Satish Kumar: Air Cmde. Jasjit Singh's demise is a great loss to the strategic community of India. He was a man of action and ideas. By working until the last breath, he set an example. In a country where leadership is scarce, challenges galore and training facilities inadequate, a man like Jasjit Singh will not be easy to replace. To me personally, it is the loss of a very dear friend. Ramesh Phadke: I am shocked and saddened by the news of his untimely demise. I had the honour of working under him at the IDSA for nearly three years. He was a mentor and Guru to so many of us. He believed in everyone of us working hard and producing good useful and policy relevant papers. I will miss him and so will India and the strategic community. Although he wrote on so many subjects, his one love was air power and the air force and he kept the air power flag flying high with his untiring effort. May his soul rest in peace and may God give his family the strength to bear the irreparable loss. R. J. Khurana: I am sorry to learn about the sad demise of Air Cmde Jasjit Singh, a valued colleague with whom I had the privilege of interacting when I was the Chairman of the JIC. His grasp of facts and analytical ability were superb.He belonged to the rare breed of hardworking strategic thinkers. Above all, he was a good human being ready to help. He will be missed for a long time to come. May his soul rest in peace! Premvir Das: Very sad but he was unwell. My post retirement activities are, in very great measure, due to his advice and persuasion. A tall tree has fallen. K. Ramesh Menon: I never had the honour of meeting him but have heard him so very often on TV. Have been impressed by the clarity in thought, depth of knowledge & balance. He will be missed. Abhishek Tyagi: India lost a soldier who was as mighty with pen as he was in his Mig-21 as a young pilot. His vision will inspire the young generation of military strategists. A great loss for the nation. R Chopra: Deeply shocked. Met the Air Cmde many times over the years for advice and comments. Will be deeply missed by the strategic community. Gp Capt. A. K. Sachdev (Retd. ): It was a privilege to work under Air Commodore Jasjit's directorship at IDSA. My enduring memories of that stint relate to his encouragement to independent thinking. When I asked him before a discussion at HQ,IDS (at which I was accompanying him) if there was any brief from him, he replied that I should give my views at the meeting and that, if he did not agree with me, he would say so. A true proponent of आ नो भद्रा: क्रतवो यन्तु विश्वत: Let noble thoughts come to us from every side. May his soul rest in peace! Brig Arun Sahgal: To me Air Cmde jasjit was a friend, mentor and guide. He was most supportive to me in my hours of need, for which I will be ever grateful. One of his abiding qualities were rigors of research, which he introduced in the lexicon of Indian strategic community.We used to spend long hours discussing nuclear and issues related to defence expenditure, his views were practical incisive and above all related to the realities of strategic thinking in India. Saurabh Kumar: Extremely saddened at the news of Jasjit's being no more. Shall always remember him as a good friend and a thorough gentleman, besides of course his professional attainments and contributions. We were together in many a project going back to SSOD-III in New York and i am personally a beneficiary of his generosity and consideration in sharing his readings unstintingly. Pray for his soul to rest in peace. Neelam Mathews: Have a lump in my throat as I write this. A salute to the Grandest Old Man of Indian Military. A personal loss to most I guess. Will miss his gentle humble and kind demeanor. My love to his family. Shiv Ram Krishna Pande: He gave me, a 22 year old, the chance to research on Air Power and National Security and that really sums up his zeal in promoting research on subjects of national importance. Coming to work at CAPS was a treat. He made sure that his researchers while being dedicated are not constricted by rules and are given immense freedom to explore their research ares. Every conversation with him was a true eye opener. As someone who made Theory of Air Power fancy to read and write about, one can never be sure if this void that has been created by his passing will ever be filled. Jai K Verma: The sad demise of Air Cmde (Retd) Jasjit Singh, the recipient of Padam Bhushan was a great mix of soldier and an intellectual. We met few times in seminars and otherwise and I was always impressed by his great intellect, knowledge and politeness. May his soul rest in peace. Amit Dighe: Air Commodore Jasjit Singh was a regular & prominent figure in the media, namely, Newspapers as well as Television, in the late 90's. He contributed immensely to the knowledge of even Civilians about the Strategic issues facing India, through his numerous interviews & write-ups. I so vividly remember all his insightful takes on a wide range of defence issues. Patrick Bratton: It is with great sadness that I learn of his passing. I have found his writing of great value not only for my own research, but also have assigned his work to my students. Bhagat Khanna: He institutionalized strategic thinking. I had the priviledge of interacting with him a few times. He was ahead of times and always carried the youngsters with him. May the departed soul rest in peace and may his work be remembered for times to come. We also pray to God to give the family enough courage to sustain the irraparable loss. Bhuppi Malik: Learnt passing away of Air Cmde Jasjit Singh.A great loss to the strategic community in general and institutions like IDSA and CAPS in particular. It was great being associated with him for all these years.A great personal loss for all in uniform and out of it for he did us all proud all along. May his soul rest in peace and may God give strength to his family to bear the loss. Sitakanta Mishra: I lost my God Father.... May his sole rest in peace in Heaven and guide all of us to carry forward his vision. Michael Krepon: A long life, well lived. And an esteemed colleague. Prakash Almeida: We have lost a remarkable person with a rare confluence of so many qualities. He was a great public educator on strategic issues and contributed massively to take strategic literacy to more and more people that so acutely lack in India. I had the privilege of listening to him many times. His articles were very incisive and educative. We have lost a brave soldier, a great patriot and a great educator of strategic issues. His absence will always be felt. Very rarely we will have persons like Air Commodore Jasjit Singh. IDSA will remain a standing, shininglegacy of his work. My condolences to his family. S K Jain: With passing away of Air Cmdre Jasjit Singh India has lost a great strategic thinker.He tried to popularise national security subject. He was an original thinker too & made a significant contribution to national security. May his soul rests in peace. Baidya Bikash Basu: A Great Nationalist, a Great Guru and a Wonderful Individual. His absence will be felt more in the coming days. Jose: India has lost one of the few original military strategists. Anupam K Mitra: Shat Shat Naman to this Great Son of India who defended his motherland so wonderfully against all odds. May there be be more like him. Vande Mataram!!! Dr. Amarendra Kumar Tiwari: With the demise of Air Cmde Jasjit Singh, AVSM,VrC,VM India has lost a great expertise of National Strategy Project. He had commanded a fighter Sqn and his life style was also like a fighter strategy planner.Praying to God for the peace of his soul and patience to his family members. Anand McNair: He was country's leading strategic thinker. His death is a great loss to the country. Prof. Satyavir Singh: Jasjit Singh, a great Strategic thinker of India. He inspired me in my academic pursuits. I pray to the almighty (Waheguru ji) that the soul of Sardar Jasjit may rest in eternal peace. Col (Retd) G K Grover: I met Late Air Commodore Jasjit Singh, AVSM, VrC, VM during service when he was COO of an Operational Air Force Station & thereafter have followed his journey to become one of the top Strategic thinkers of the Nation . I always looked up to him as a source of inspiration & would continue to remember him for his outstanding spirit & forthright demeanour.